This work is still in progress as part of a larger project by a Pratt-SI Digital Humanities group. 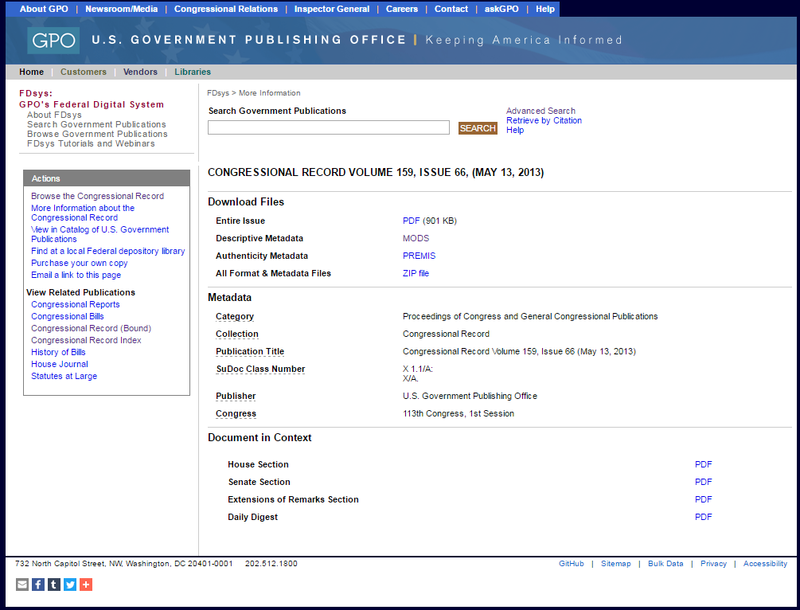 Text and data were collected from the Congressional Record (CR) using the Sunlight Foundation’s Capitol Words API in correlation with the same organization’s parsing tool. My area of focus includes a set of entires to the record that feature any of a list of surveillance terms. This list was generated based on documentation from the non-partisan Congressional Research Service reports then applied to content from the record spanning 2012-2014. This time period covers the year before the Snowden leaks, the year during, and the year after.